1. Null Graph: The graph which has no edges is known as Null Graph. Sometime it is also known as empty graph or edgeless graph. 2. 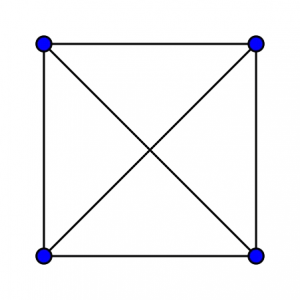 Trivial Graph: The graph which has only one vertex is known as Trivial Graph. 3. Non-Directed Graph: These are the graphs that have edges with no direction. 4. Directed Graph: These are the graph in which each edge has its direction. 5. 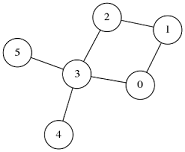 Simple Graph: These are undirected graph containing no graph loops or multiple edges. A simple graph can either be connected or disconnected. 6. 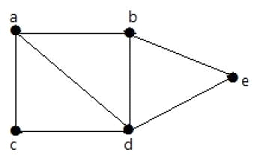 Connected Graph: The graph in which there is a path between every pair of vertices is called connected graph. 7. Disconnected Graph: A graph G is said to be disconnected if it is not connected. 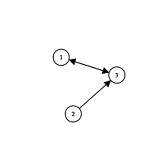 If there exist two nodes in graph G such that no path in G has those nodes as endpoints. 8. Regular Graph: The graph in which each vertex has same number of neighbours is called as regular graph. 9. Complete Graph: A complete graph is a graph in which every pair of vertices is connected by an edge. 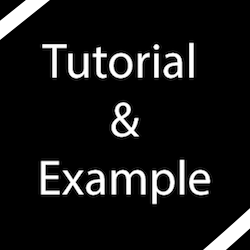 A complete graph is simple undirected graph. 10. Cycle Graph: The graph that is formed by connecting all the vertices together is known as cycle graph. The cycle graph with n vertices is called Cn. If the degree of each vertex in a graph is 2 then that graph is said to be cycle graph. 11. Cyclic Graph: The graph which contains at least one cycle in it then that graph is said to be cyclic graph. 12. Acyclic Graph: The graph that contains no cycle in it is said to be Acyclic Graph.